January's Resolution -- Resolve to READ!!! This year: RESOLVE TO READ! And what better way to figure out WHAT to read than Time Magazine's list of the 100 best books for young adults and children. Time compiled its lists in consultation with the National Center for Children’s Illustrated Literature, the Young Readers Center at the Library of Congress, the Every Child a Reader literacy nonprofit, 10 independent booksellers, and several well-known literacy experts. Resolve to read...and find great book ideas here: 100 Best Young-Adult Books and here: 100 Best Children’s Books. Looking for books about, for, and/or by Latinos/Latinas? 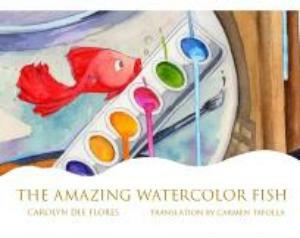 Here's a site to consider: https://latinosinkidlit.com/ . Listed are 70+ titles that are being released in 2018. 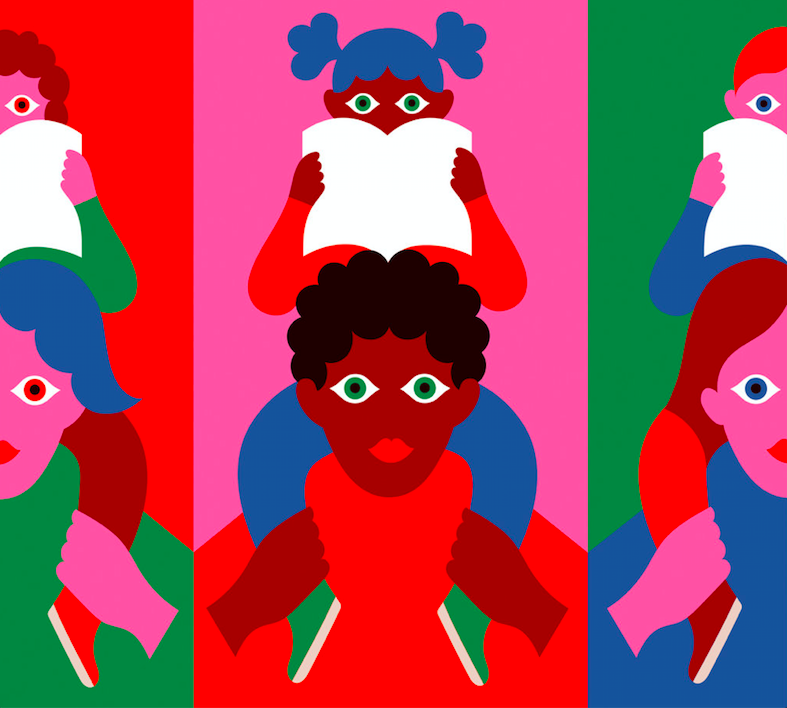 The organizers' mission is to promote literacy and the love of books within the Latino/a community and to offer a broad forum on relevant children's, MG, and YA books with reviews and perspectives by teachers, authors, illustrators, librarians, parents, and more! The children’s book editor of The New York Times Book Review offered another great list! Among the picture books: After the Fall: How Humpty Dumpty Got Back up Again, Good Night, Planet , and Hey, Boy . For middle grades, All's Faire in Middle School, Bronze and Sunflower, and Fish Girl made the list. The Young Adult list included Akata Warrior , American Street, and La Belle Sauvage. There are many more, so check it out! 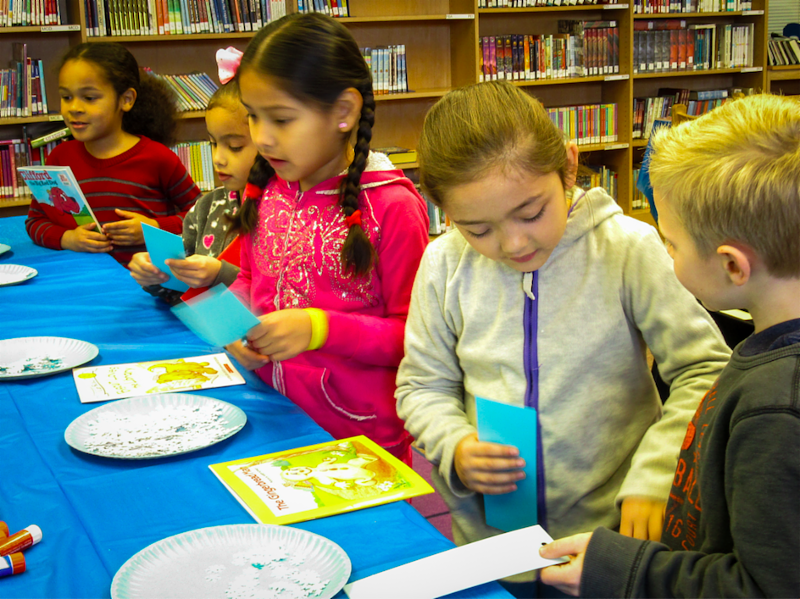 Woodley Hills Elementary School's RIF Distribution -- Snowflake Fun! 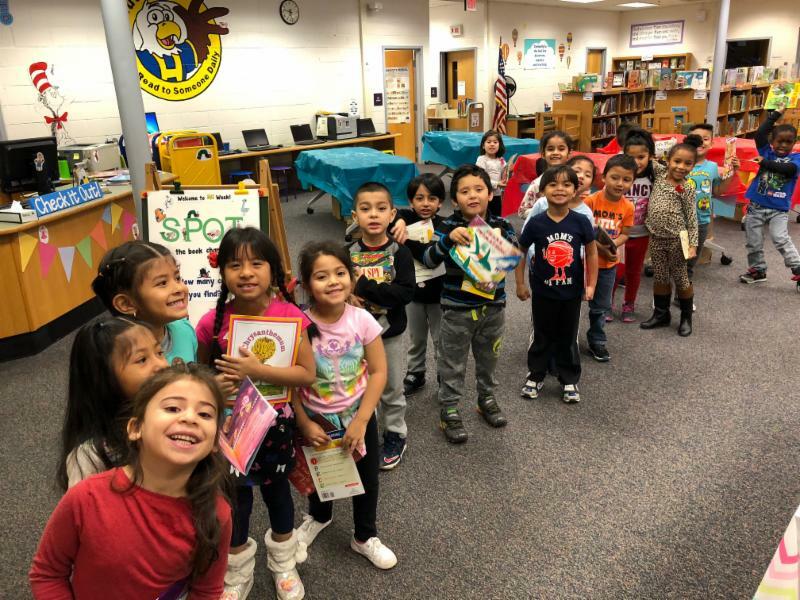 "Snowflake Fun" was the RIF of NOVA book distribution theme at Fairfax County's Woodley Hills Elementary School -- where children made snowflake bookmarks in addition to picking out a RIF book. 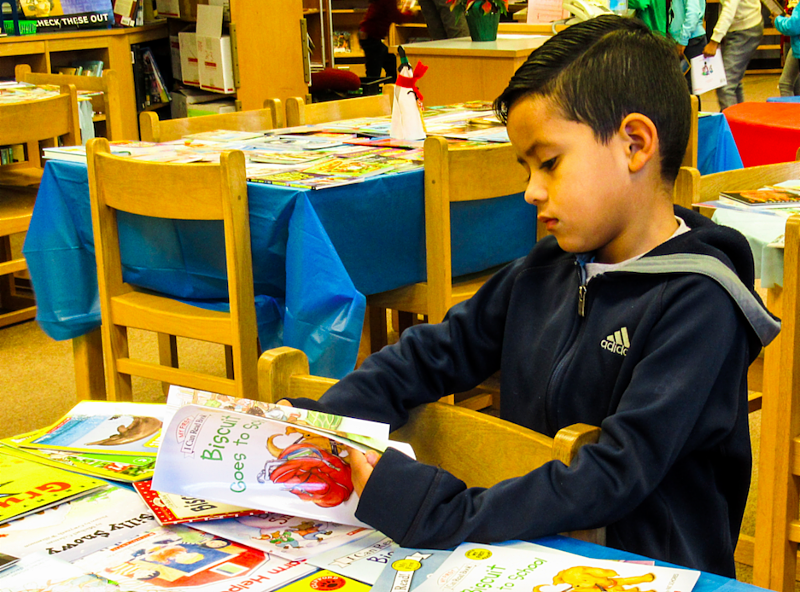 When teacher, Ms. Ketchum, reassured one of her students that she could keep her book forever, the first grader responded “I am having a happy day!” Another student asked if he could share his RIF book with his brother, and a classmate noted that she couldn't share hers because her brother would eat it. Fairfax East RIF of NOVA chairs Chris Bury and Liz Promen definitely had some fun before saying farewell to the celebration's organizers, librarian Jill Connors and aide Sara Boehm. Making a snowflake bookmark for my RIF of NOVA book! Fun! Forget the bookmark! Time to read! So many book choices! Hmmmm, which ones to pick? 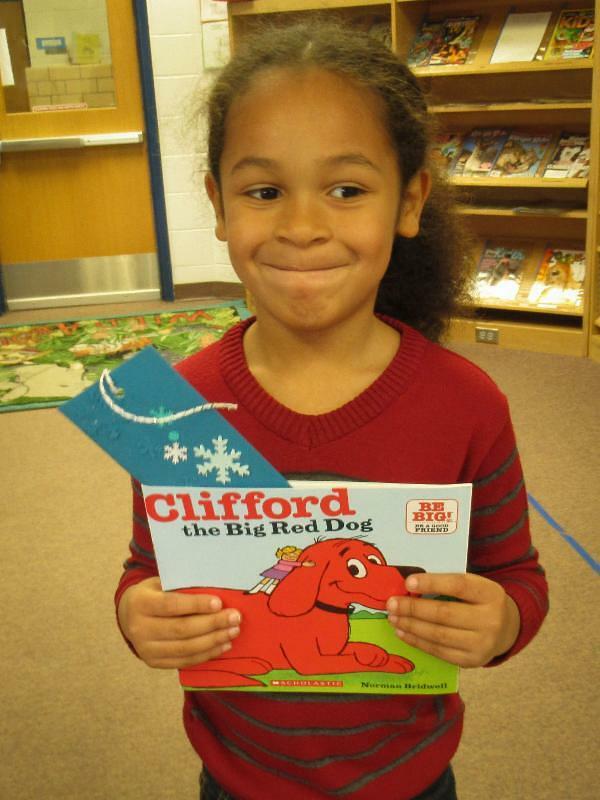 Clifford is always a hit, particularly when you have a snowflake bookmark! Love my RIF book! Can't wait to take it home! South County -- Gift Bags and Books, Too! 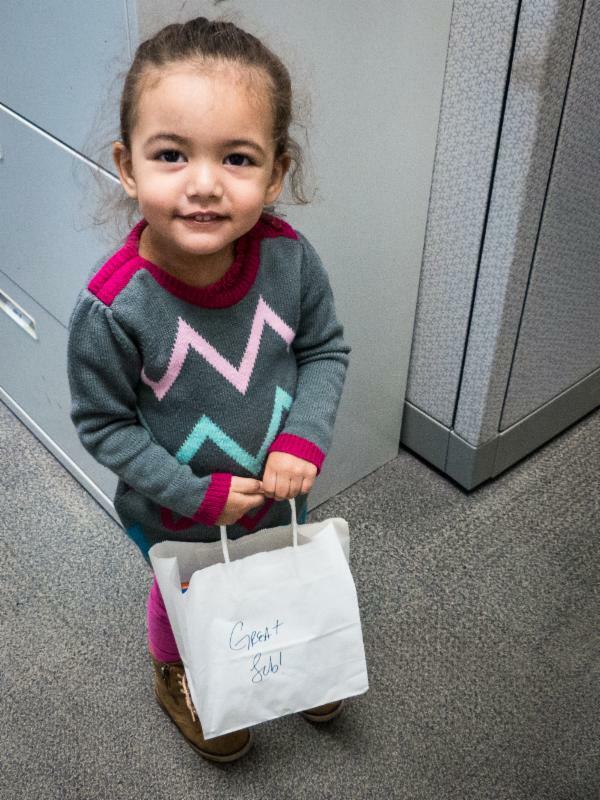 Foresters Financial provided a special holiday surprise for the young children at the South County Health Center WIC program -- gift bags with books, puzzles, bubbles, and other surprises. WIC staff member Patricia Beadle was delighted to bring smiles instead of the tears that are usually generated by blood test skin pricks. 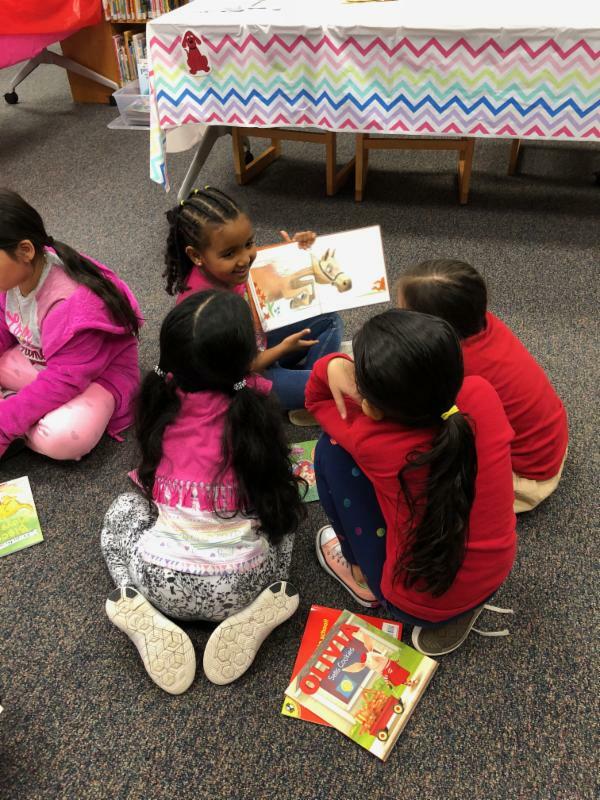 RIF of NOVA has supported the Health Center with books for young children for over ten years, knowing that a child’s healthy brain development thrives with good health and good stories! 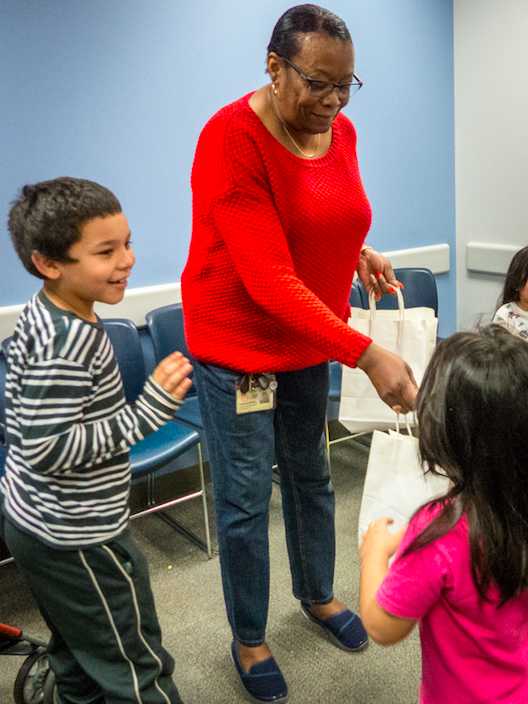 WIC's Patricia Beadle gives out gift bags to eager youngsters. 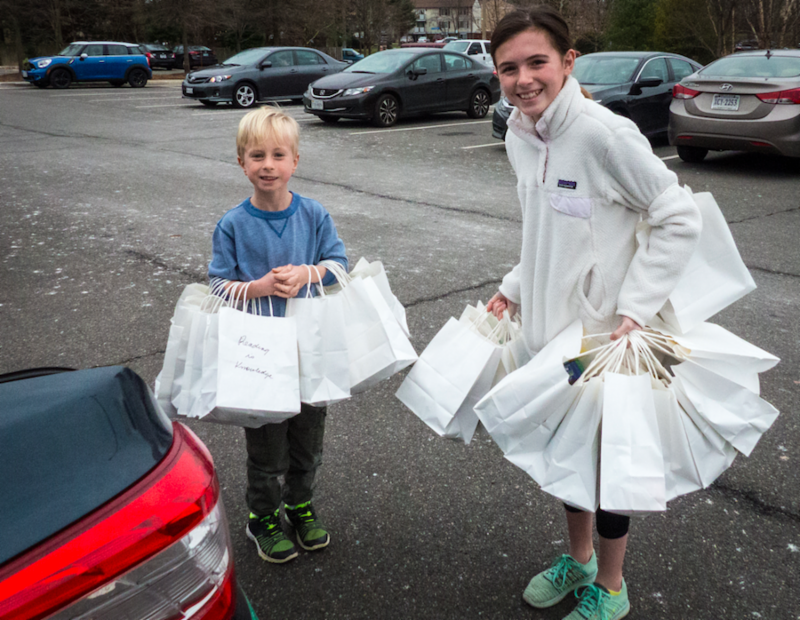 RIF’s youth volunteers -- cousins Addison Clift and Ryan Promen -- enthusiastically helped deliver the Foresters gift bags, which included books, puzzles, bubbles, and other surprises. So proud of my new gift bag! 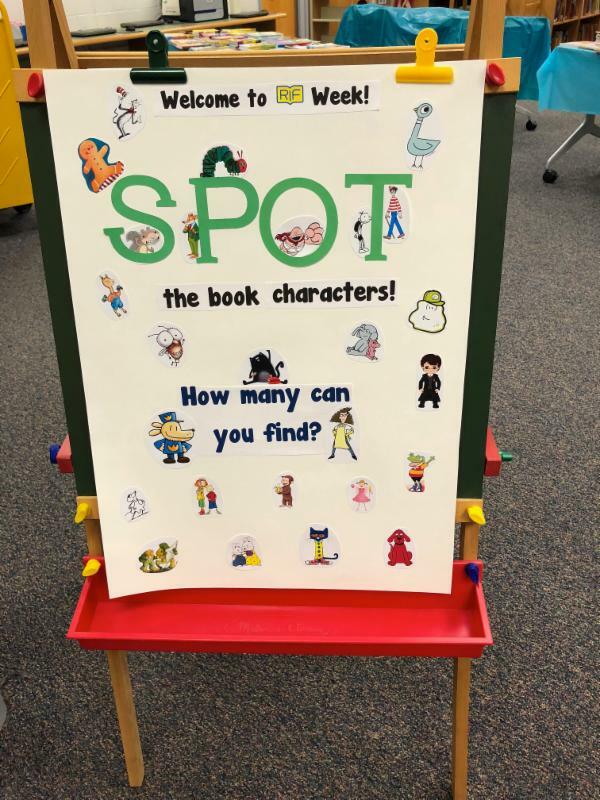 At Hutchison Elementary School in Herndon, the children were seeing SPOTS -- as they had to SPOT various book characters! Librarian Marci Hoyt posted reproductions of various book characters all over the library. The kids got a worksheet and had to hunt around, find the characters, and mark their findings on a worksheet...like a detective game. This was Marci's first RIF of NOVA book distribution. Very clever! Lining up to SPOT a character! The young detectives couldn't wait to get started! These sleuths earned a RIF of NOVA book after their detective work. 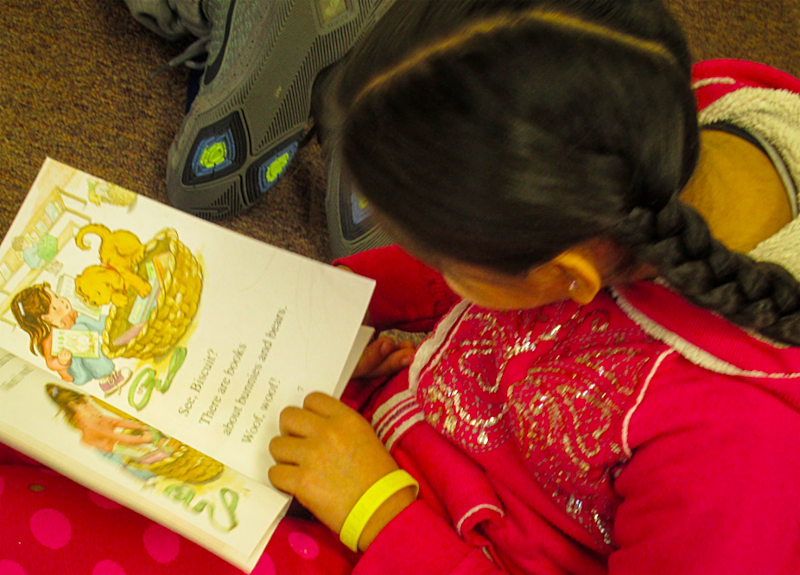 RIF of NOVA is able to provide books to promote literacy only through donations from people like you! Donors can give via PayPal on the RIF of NOVA website www.rifnova.org. Another way is through smile.amazon.com. 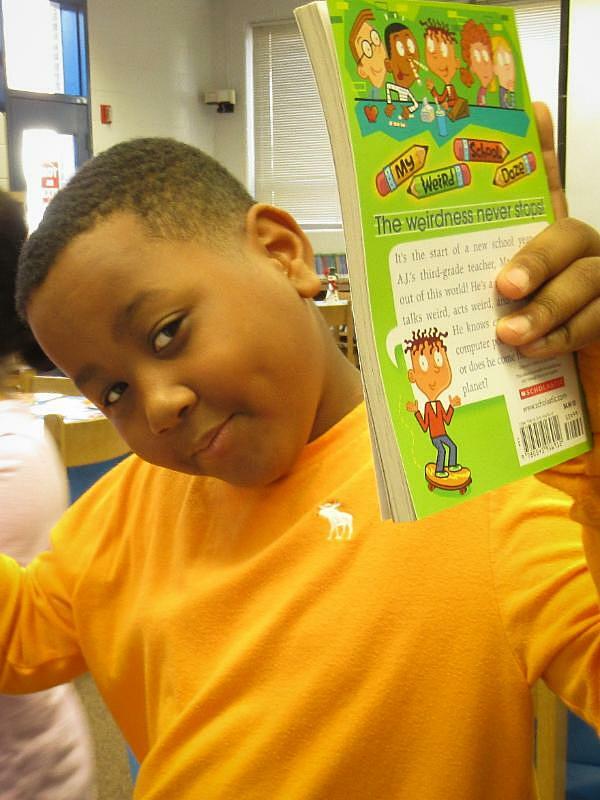 Type in Reading Is Fundamental of Northern Virginia, Inc. to select us as the charity you want to support. Amazon will donate 0.5% of your eligible purchases to RIF of NOVA.